Chompie’s, Arizona’s New York Deli, recognizes the Jewish High Holidays with a Rosh Hashanah dinner on Sunday, October 2, a take away menu, and a “Break The Fast” menu on October 11 for Yom Kippur. Chompie’s recognizes the Jewish New Year with a dine-in menu and take away dishes. 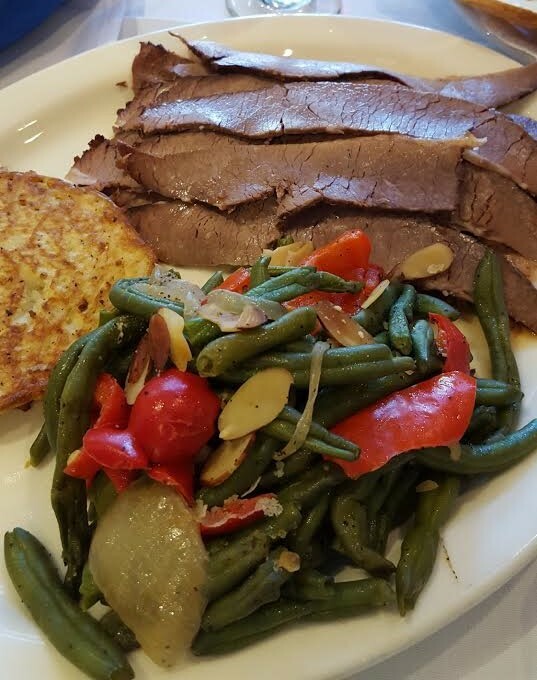 The four-course dine-in menu includes a starter or Chopped Liver or Gefilte Fish, soup, an entrée choice of a half roasted chicken, braised brisket, salmon, or roasted breast of turkey. The entrée comes with a choice of potato and vegetable. The meal concludes with an assortment of holiday cake for dessert. The dinner is available at Chompie’s Chandler, Scottsdale, Phoenix and Glendale locations. These traditional dishes and more are also available for take away. Guests can order items ala carte or family meals that serve 8 people for $249.95 or 4 people for $129.95. Rosh Hashana is the start of a 10-day period of High Holidays which ends with Yom Kippur, a day of atonement marked by a day of fasting. Yom Kippur, also known as Day of Atonement, is the holiest day of the year for the Jewish people. Its central themes are atonement and repentance. Following a time of fasting, families and friends gather to break the fast with traditional Jewish foods. Chompie’s offers a “Break the Fast” menu for the end of the period of fasting accompanied with the holiday. Chompie’s Break-the-Fast Yom Kippur Take-Out Menu features a variety of holiday classics to enjoy at home. Gourmet smoked fish, homemade deli salads and fresh challah are just a couple of the local favorites. Gluten-free-friendly dessert options are also available. For all take away orders, please give Chompie’s 24-hours notice to ensure your order is ready for you. Visit www.chompies.com to view the complete Chompie’s Break-the-Fast Yom Kippur menu.